Supercell's soft-launched MOBA Brawl Stars is already a consistent top 10 grossing game in Canada within a week of launching on iOS. It initially launched in the region on June 15th 2017. Since then it has sat at the top of the overall free download charts for one week consecutively. It has wavered slightly in the top grossing charts, but has now settled into the top 10. It entered the chart at 17th overall, before rising to ninth two days after launch. It has so far peaked at third place on the chart. Brawl Stars' success also appears to be having a halo effect on Supercell's other games. On June 21st, four of its five titles were in the overall top 11 grossing games. Clash of Clans and Clash Royale remained in the top 10, Hay Day scored the 11th spot, while Boom Beach sat much further down in 45th place. Just because Brawl Stars is performing well now doesn't necessarily mean it will continue to do so, of course. Supercell is known for killing games in soft launch, such as the short-lived Smash Land, hence why it has released so few games. 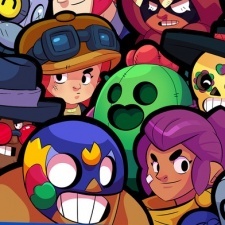 Continuous performance in the top grossing charts may not even be Supercell's focus, if the studio is looking to make Brawl Stars an eSport. That said, there's still the argument that mobile eSports may never work no matter what game tries it.